We at Unemployment Solutions for You proudly offer our unemployment claims management services across the United States. We are a leader in our industry not only because we offer an outstanding product, but also because we have a deep knowledge-base in the many differing unemployment laws across the 50 states. Part of our mission is to also educate you about how these laws may differ from state to state because those differences can affect you directly. So, join us on our continuing series, in which we explore the differences in unemployment eligibility, tax rate ranges, base periods, and much more in each state. 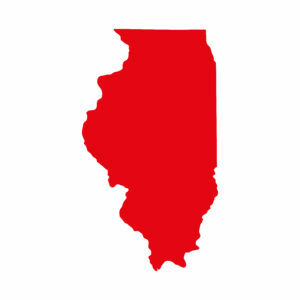 This month, in Your State’s Unemployment Tax Laws, we’ll be looking at Illinois, the Prairie State. So then, how does this affect your business? Your business’ tax rate will be affected by your business’ Experience Rate (which is calculated from the amount of UI benefits paid to former employees over the past 3 years). The more unemployment caused by the employer – the higher the rate. In case you missed it, last time we covered the unemployment tax laws of Texas. You can find last month’s blog featuring Texas here, and a few of the other states we’ve featured here.